Ristorante Bologna, an Italian fine dining stronghold at Marina Mandarin Hotel, has fallen prey to the deluge of new Italian eateries in Singapore and since it shuttered, the space has been taken over by Ruth’s Chris Steakhouse (“Ruth’s”), the world’s largest steak house chain with more than 130 outlets worldwide at last count. After a massive makeover, Ruth’s opened in August 2012 to reveal wood paneled walls, thick carpets and a gloriously elegant space overhung with lampshade chandeliers. Those who are accustomed to Ristorante Bologna’s brand of service will be pleased to know that former Restaurant Manager, Shahie Jaffar, continues to run the floor at Ruth’s. 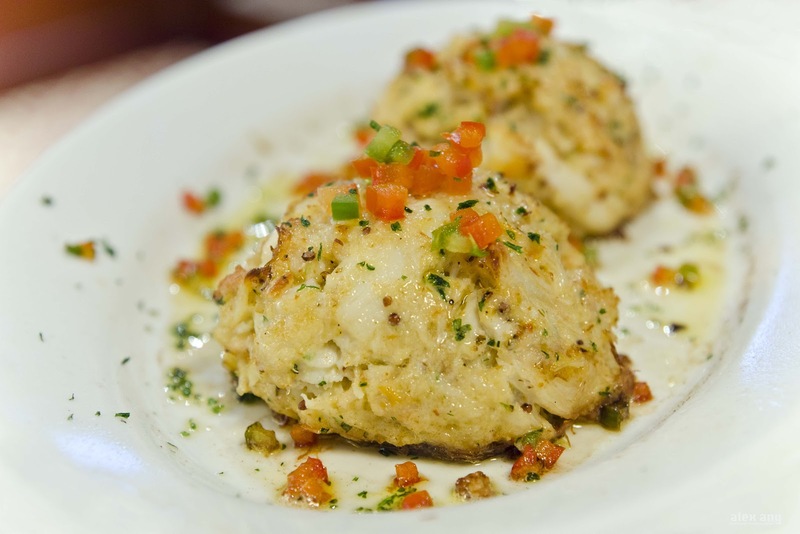 At Ruth’s, the menu is decidedly trim and it offers a classically American steakhouse experience not unlike Morton’s of Chicago (“Morton’s) – minus the table-side theatrics – augmented by swatches of Creole offerings, thanks to its New Orleans lineage. Unless you are a returning regular who knows exactly what you want, stay on course with the tried-and-tested Ruth’s signatures highlighted in red on the menu. Our order of sizzlin’ blue crab cakes (S$35 for two pieces), a Ruth’s signature, arrived with discernible chunks of Canadian crabs mouldedinto a mound with eggs, mayonnaise and cracker meal. Possibly one of the most scrumptious we’ve had in a while, these savoury crustacean cakes are in themselves worthy of a detour. 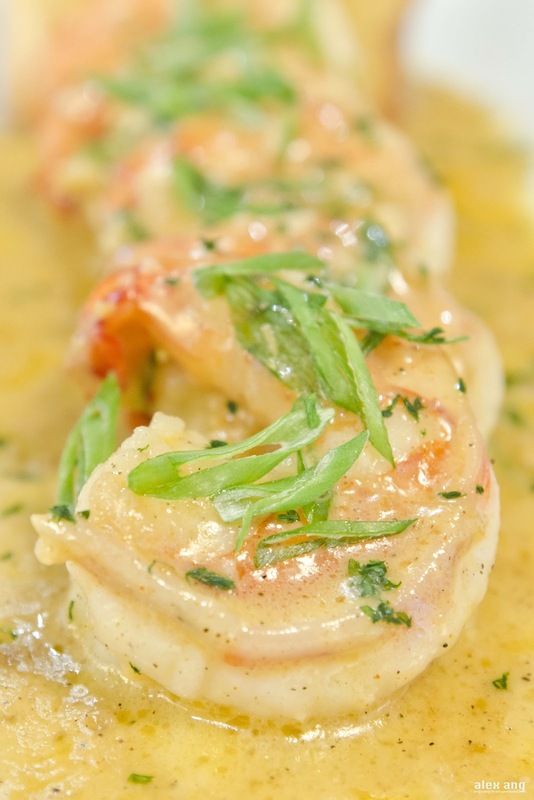 The starter of barbequed shrimps (S$35), another Ruth’s standard, too had us rapt with impeccablyly sautéed shrimps doused in an addictive New Orleans-style sauce with reduced white wine, garlic and butter. Ruth’s chop salad (S$23) was, however, less successful – the lemon basil dressing was barely detectable and the iceberg lettuce-heavy toss was not as savoury as we’d hoped although the French-fried onion rings were deliciously crisp. 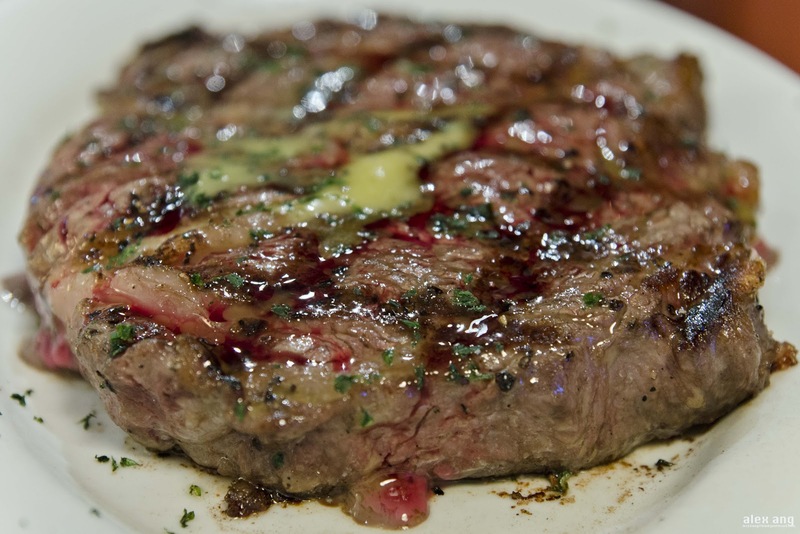 Be sure to leave plenty of space for the wet-aged steaks, the pride and joy at Ruth’s. Pick the USDA Prime petite fillet (230g, S$85) if you like a leaner cut; and if you prefer a more marbled cut, the USDA Prime ribeye (340g, S$85) is remarkably more succulent and flavourful. Bone-in porterhouse steaks are also available on the menu but these are Australia-sourced wagyu rather than the USDA Prime grade beef due to Singapore’s on-going importation restrictions on bone-in steaks from USA. 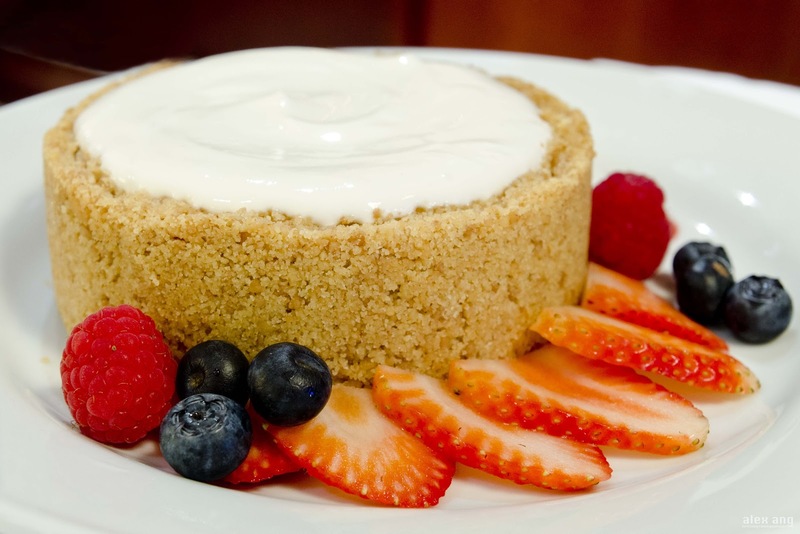 Don’t leave without sinking your teeth into Ruth’s homemade cracker-crusted cheesecake (S$25 – serves 2 to 4) served with strawberries and blue berries. Note: With Morton’s and CUT holding court in Singapore’s sizzling hot steakhouse scene, naturally there will be comparisons. So here’s a quick word on Ruth’s steaks: unlike CUT that serves its steaks heavilycharred-on-the-outside, Ruth’s steaks veer closer to Morton’s and are served with subtle grill marks rather than a layer of char. 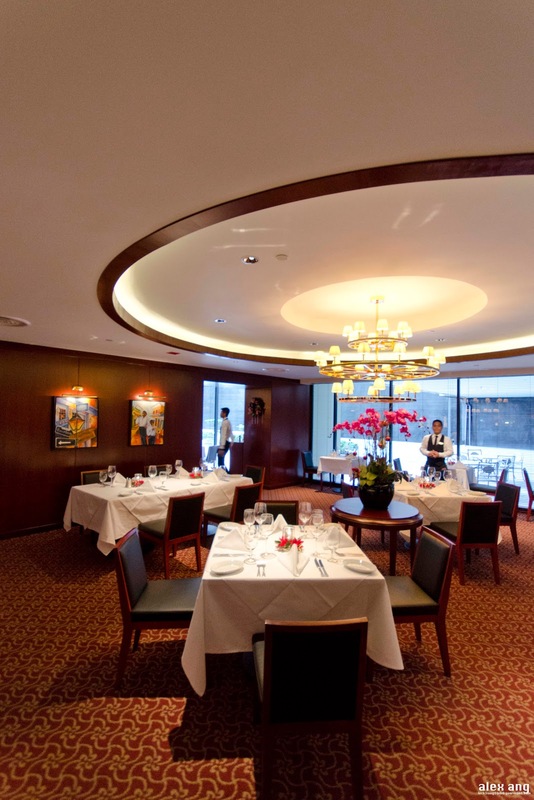 Like Morton’s, Ruth’s steaks are also priced more affordably. Perhaps what sets Ruth’s apart from the clutch is how it serves its steaks on a hot plate – heated to 260 degree Celsius – with chopped parsley flakes and melted butter that impart a refreshingly delicate buttery flavour that doesn’t cloy.